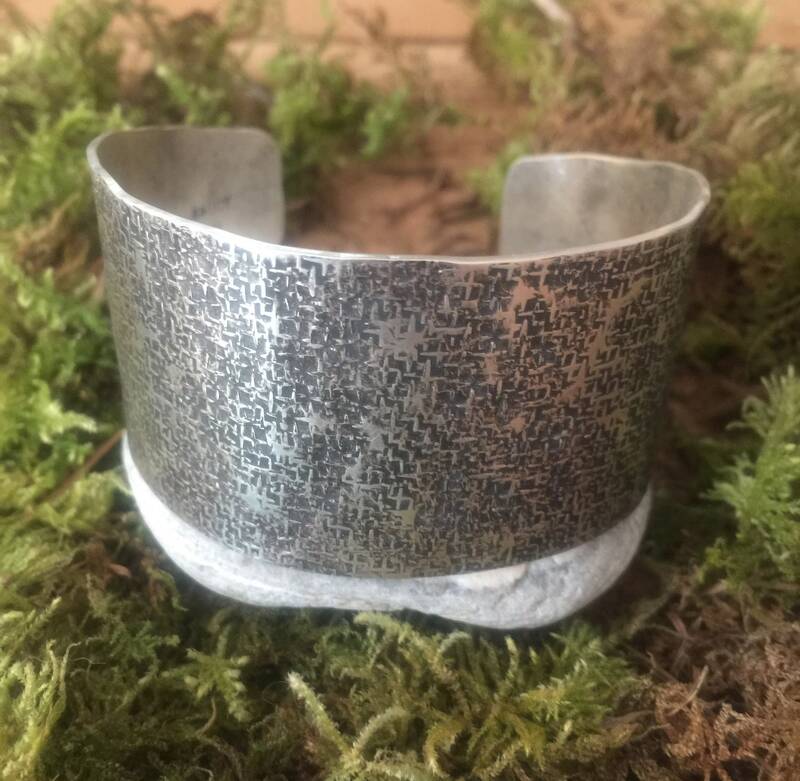 1.25 inches wide, solid sterling silver, fits a medium sized wrist. I can make in a smaller or larger size, by request. Darkened finish, matte.